First, use a drawing program (Keynote is actually a favorite of web designers) to mock up your website. Use a 12 column design, so that you can use Bootstrap later to turn your design into reality. Your mockup doesn’t have to be perfect, but should show the rows and columns and give an indication of what you’re going to put in each spot. Set up your Bootstrap Website. Start with the Bootstrap template code. You can copy and paste them from the Bootstrap website. 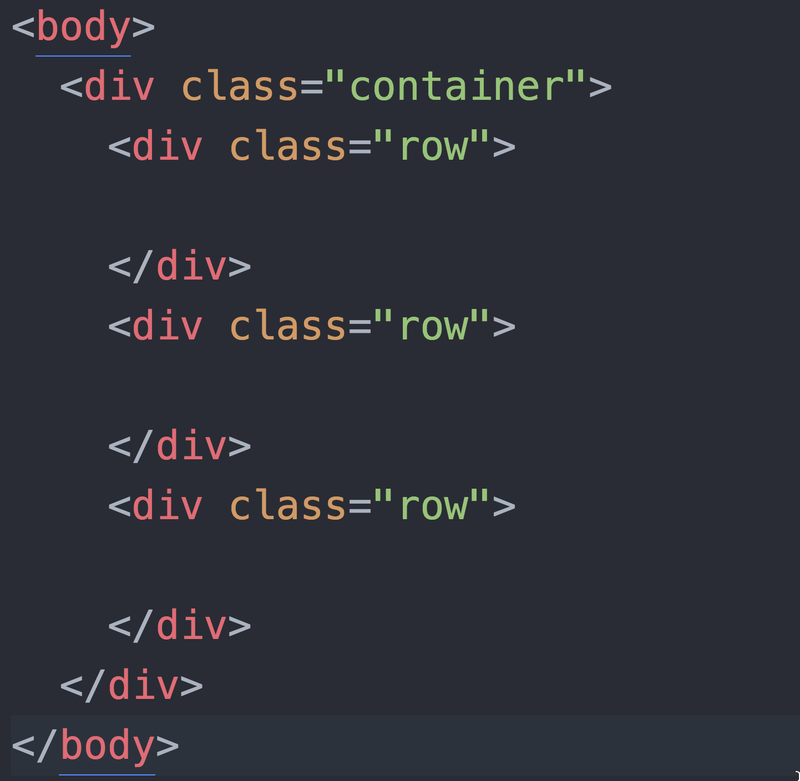 Make your container, row, and column divs. Inside the container div, make as many rows as you need. I’ll make three rows, but you might have more. The “md” stands for medium, which doesn’t mean anything here, but will when we have more boxes. Try making the third box into 6 2-column boxes. Use more divs of your own inside the column divs to add content, if you want to style content with classes. Use Bootstrap components to assemble your site. Use a nav bar – the same one on each of your pages. You should make three pages. One should be a “home page” for your store. One should be a product page – a page for one thing you are selling. The third page should have a form that lets the user “buy” something – obviously they can’t really buy anything, but it should look like they can. Use Bootstrap components for everything, including the form. Use at least five different Bootstrap components. Make sure all your content is in components. Make sure your website remains “responsive” – looks good on both full width and mobile devices. Some of your links can go nowhere – use <a href=”#”> for this. This way you can have a full front page without making dozens of other pages. Use a carousel with carefully edited images, so that the whole thing stays stable. Use a modal – modal forms work well. Use other interactive features, like accordions or tabs. We’re using Bootstrap 4, make sure you’re not looking at Bootstrap 3 docs!